Forget fad diets. Try these eight simple changes for a healthier summer. The desire to get healthier is a common goal, but the thought of a massive dietary overhaul may seem overwhelming. Truthfully, even small tweaks have health payoffs, including lowering your chances of conditions like diabetes and heart disease. Plus, small changes are less taxing to your willpower than loftier goals. Just like overworking your biceps leads to fatigue, so does overworking your willpower. Over time, like muscles, your willpower becomes stronger, so successfully making a micro-change to your menu can empower you to take on another small change. Here are eight expert-recommended diet tweaks to try this summer. Once you master one, see if you can try another. This simple change, recommended by nutritionist Keri Gans, RDN, author of The Small Change Diet, is an easy place to start. “Many people confuse thirst for hunger and wind up reaching for a high-calorie snack when in reality, hunger isn’t the issue.” Research confirms the lines get blurred, and the science supports another reason for making this change: Even mild dehydration can lower energy levels. So set your intentions on drinking eight 8-ounce glasses of water per day — and more on hot and humid days, and when you’re hitting the gym (or ski slopes, or your exercise of choice). If water isn’t your thing, Gans suggests boosting flavor with fresh lemon, lime or cucumber. I’m also a fan of flavored sparkling waters, like La Croix. Though I love overnight oats as much as the next person, a cereal or grain-based breakfast, while nutritious, may fall short on protein. “Sufficient protein at breakfast (at least 20 grams) is important to help prevent muscle loss as we age and maximize muscle growth and repair after a workout. Plus, adding protein to your breakfast, especially when paired with good carbs, fiber and healthy fats will help to keep you full longer to keep your energy levels up all morning,” according to Lauren Harris-Pincus, MS, RDN, author of The Protein-Packed Breakfast Club. You eat breakfast anyway (or at least I hope you do! ), so why not upgrade your morning meal with more protein? Harris-Pincus boosts the protein levels in her Creamy Orange Overnight Oats with protein-rich ingredients, like Greek yogurt and whey protein powder. These hunger-busting additions may mean the difference between feeling hangry at the crack of 10 AM and powering through until lunch time. Learning to recognize when you’re hungry and when you’re full will go a long way toward improving your overall health. We all fall into the trap of eating for reasons other than hunger, be it the habit of popcorn at the movies, munching your way through a bag of chips during a stressful afternoon at the office or finishing up the last forkful of pasta at dinner. To break the cycle, “practice using the hunger-fullness scale,” suggests Alissa Rumsey MS, RD, founder of Alissa Rumsey Nutrition and Wellness and creator of the 5 Minute Mindful Eating Exercise e-guide, who recommends using this useful tool to clue into your hunger before, during and after a meal. 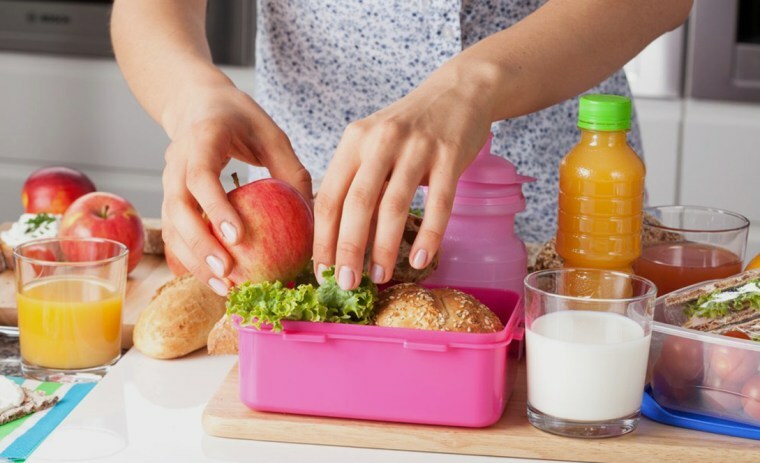 “While babies and small children do a great job eating when they're hungry and stopping when they're full, as adults we tend to eat more for external reasons,” says Rumsey. The idea is to learn when you’re comfortably full and put your fork down at that point. “Cooking is more than just the simple act of preparing food to fill your belly,” says Chicago, IL culinary dietitian, Sara Haas RDN, LDN. “It’s a ritual that boosts your understanding and appreciation of food. And performing this simple skill puts you in control of what shows up on your table, which equates to better nutrition and a healthier lifestyle,” she explains. Another way I look at it is this: Cooking is an act of love. Whether feeding family or friends, or making a meal for myself, it’s a way I can show love and appreciation. And it need not be complicated or Instagram-worthy to fulfill the requirement. Given the startling CDC report finding that about 91% of Americans fail to get enough veggies, the advice to eat more greens from dietitian and founder of Nutrition Stripped, McKel Hill, MS, RDN, are words to live by. “Whether you add greens to smoothies, sneak in a salad before a meal, snack on vegetables, or greens to stews and stir-fry, they’re great source of fiber, minerals and antioxidants our bodies need,” she says. If you’re averse to vegetables, I’ve found that it’s helpful to take a stacked approach to eating more. For instance, if you already like scrambled eggs, add some spinach to the scramble and see how it goes. If you’re making a side of brown rice, try adding some chopped broccoli. Folding veggies into things you already enjoy helps make it easier to make this change. “Try to reduce your meat consumption for your health and the health of the planet,” encourages The Plant-Powered Dietitian, Sharon Palmer, RDN. Even if you only do this one day a week, it can curb your risk of obesity and lower your odds of diseases, including heart disease, diabetes and cancer, according to the scientific team behind the Meatless Monday campaign. “Have more meals based on legumes, grains, vegetables, nuts, and seeds,” says Palmer. If you need inspiration, try her weeknight-easy Mediterranean Edamame Quinoa Bowl. According to Bannon, research shows that supportive relationships with friends, family members or both, can help you deal with day-to-day stressors and reach and sustain your health goals. “The opposite side of the coin holds true too: eliminate (or minimize) your time with emotional vampires — they sap your strength, emotional energy and often sabotage your health goals,” she says. Make an effort to include one more supportive, health-minded person in your life this year. For me, that means primarily eating (and loving!) a plant-forward menu with lots of vegetables, while also sometimes enjoying a piece of dark chocolate after dinner, a soft-serve vanilla ice cream on a hot summer night or a heavenly piece of cake shared among friends.